Palomar Law Group is focused on families, businesses, and the communities of North County. We help clients in San Diego County and throughout California find solutions in business, real estate, probate and trust litigation, and personal injury matters. The name of our law firm evokes the history of the people who founded and built the communities of the North County. It is from this legacy that we have received so many blessings, and to which our practice is dedicated. Palomar Law Group is focused on community. We want to be of service to the community by welcoming clients who may be of limited means, but who can find a creative way of hiring a lawyer to help them. Some of the options available include flexible hourly rates, mixed hourly and contingency plans, flexible payment plans, collateral-based financing, and in appropriate cases, pro bono work. If you or someone you know could use the services of our General Practice Attorneys, please contact us for a complimentary consultation. We can discuss your situation and the ways our Law Firm can help you get the answers that you need. Call (760) 747-2202 to schedule an appointment. We prefer to speak to people in person, but telephone consults are available. Attorney Randy Ortlieb handles a wide range of cases involving business, real estate, and probate matters. 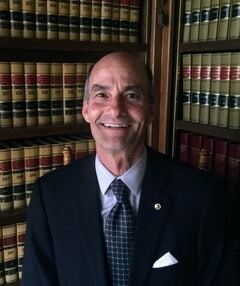 Mr. Ortlieb founded Palomar Law Group in 2015 after more than 26 years of serving clients at a large firm. There he learned how to effectively resolve and litigate disputes. He handled hundreds of matters and tried many cases including real estate purchase disputes, easements, boundary disputes, and trust and trustee disputes. During law school, Mr. Ortlieb clerked for the legal department of a regional grocery chain, learning trial preparation and legal briefing for premises liability and wrongful arrest/shoplifting cases. Lawyer Andre C. Didier handles civil litigation cases and has experience in real estate and construction disputes, premises liability and professional negligence matters. Mr. Didier was admitted to the California Bar in 2001, and has been a civil litigator for nearly 15 years. He is also admitted to practice in the U.S. District Court, Central and Southern Districts of California. Prior to attending law school, Mr. Didier enjoyed a successful twelve-year career as a Senior Claims Adjuster. Mr. Didier began his litigation practice at a large law firm by specializing in healthcare provider defense of doctors, dentists, nurses, chiropractors and hospitals. At another large law firm, he concentrated in the areas of real estate, construction and business disputes. He has also handled the defense in many real estate non-disclosure cases for real estate brokers and agents. He is a member of the State Bar of California. Mr. Didier is widowed and is the proud father of three wonderful children: Alex, Amy and Allison. Call our office at (760) 747-2202, or contact us online by completing our Case Evaluation Form. We will soon be in touch to arrange for a complimentary consultation.